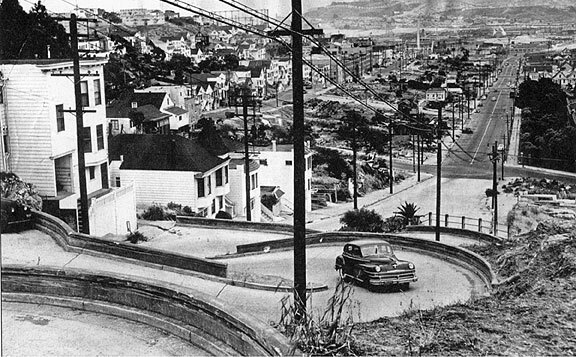 Vermont Street--San Francisco's Real Curviest Street! 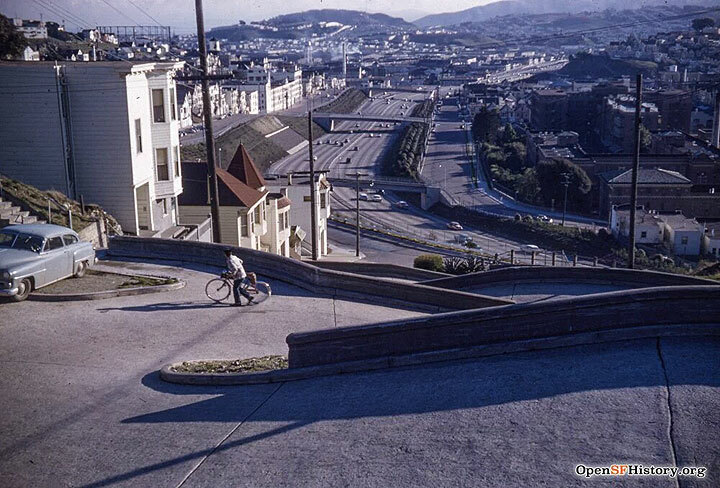 Vermont Street looking south to the recently completed Highway 101. 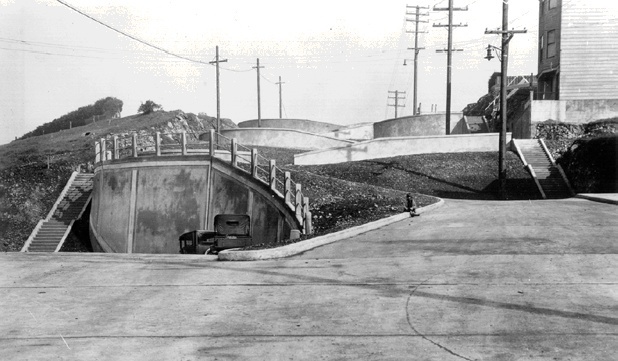 Foot of Vermont Street, 1928. 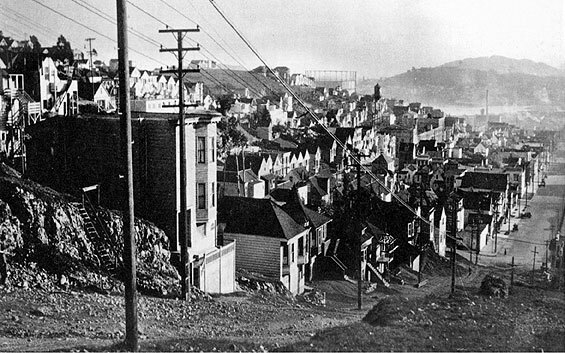 Less touristy than the famous Lombard Street, but just as winding, Vermont Street on the western slope of Potrero Hill, McKinley Square Park upper left. 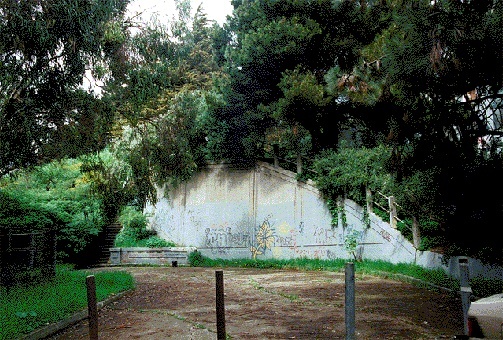 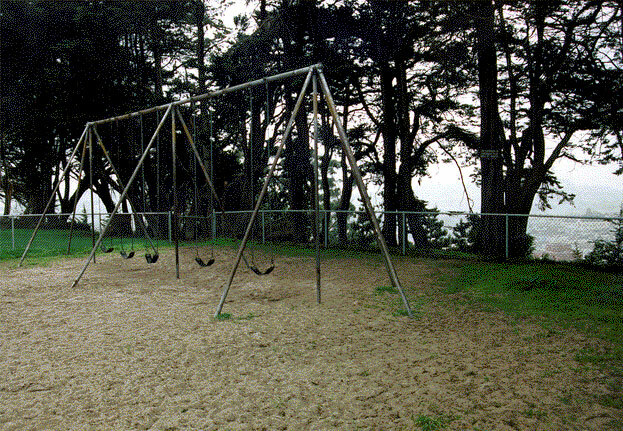 These glorious swings, on which one could practically soar over the Mission District, are long gone now, replaced in the early 2000s by a very safe, fenced-in, infant swing set... humph!